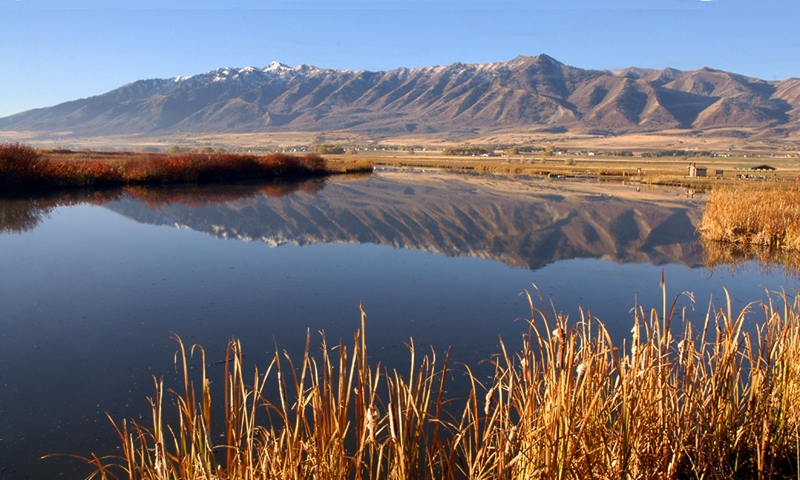 As temperatures warm and spring flowers appear, Utahns will hear an increasingly diverse choir of twitters, whistles, chatters and coos filling the air. Continuing over the next few weeks, thousands of migratory songbirds will mingle with our year-round avian residents in fields, forests, and wetlands. No road maps or GPS units guide these migrants to their desired destinations. Scientists continue to marvel at how the birds know exactly where to go. There is evidence that magnetic fields of the Earth, landmarks, the Moon and stars—even specific odors– may guide their flight. Most songbirds migrate during the night. Cooler air helps keep the birds from overheating. Also, night air tends to be less turbulent, so birds are less likely to be blown off course. Just like humans stuck in an airport, birds can be grounded for hours or days during bad weather. Birds may die of hunger, fly into objects, or be eaten en route. Obviously the benefits of the destination must outweigh the risk of travel or birds simply wouldn’t bother. So where are these migrant birds coming from? Well, not unlike some Utahns, many birds spend the colder months in Arizona or New Mexico. Others overwinter south of the border in Mexico or Central America. 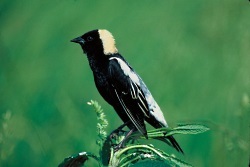 Bobolinks have one of the longest annual migrations of any North American songbird. These Neotropical migrants travel over 12,000 miles from their North American breeding grounds to their “wintering” grounds in Argentina or Paraguay. This means they spend about half of each year in migration. They typically arrive in Utah in early to mid May.. Even after such a long flight, there’s no time for rest. The weary, soon-to-be- parents must busily prepare for the arrival of hungry offspring. Then around mid August or September it’s time for the long flight back to the southern hemisphere. No longer common, bobolinks are now spotted in isolated patches primarily in the northern half of the state. Look for them nesting or foraging in wet meadow and grasslands, and irrigated agricultural fields. Frank Howe and Mary-Ann Muffoletto provided text and background information for this piece. 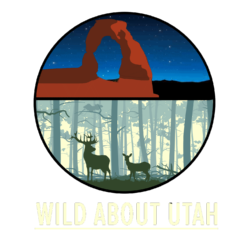 Thanks to the Rocky Mountain Power Foundation and the USU College of Natural Resources for supporting research and development of Wild About Utah topics.